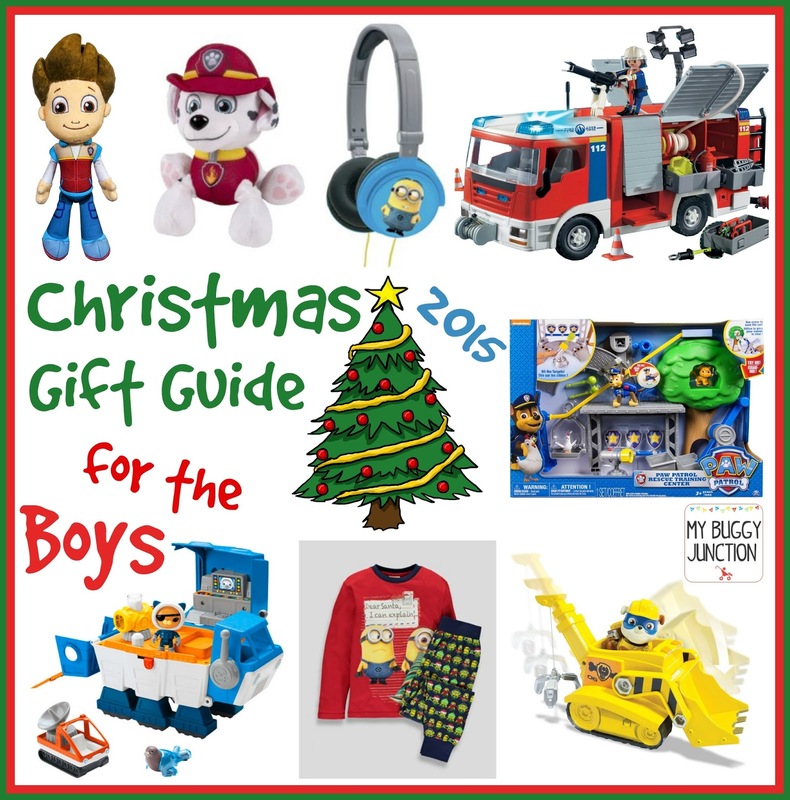 With only 4 more weeks until Christmas i thought i share with you my Christmas Gift Guide 2015 i hope you find it useful and especially with Black Friday looming tomorrow you might even get to score a good bargain this weekend in the shops or online for your little ones presents this year! Those 8″ plush pups are made from vela plush and are super soft to touch and are the ideal new cuddly mate under every little Paw Patrol Fans Christmas Tree this year! Ever since we took Finn on his 5th Birthday to the Playmobil Land in Germany he has been obsessed with anything Playmobil so to go with his Fire Rescue Operation Advent Calendar this year he asked for a Playmobil Fire Engine to put all his Fire fighters in. The fire engine includes the truck , a figure and many accessories. The truck has working lights, storage spaces and a removable roof. You can purchase a separate force pump (4824) which can be connected to the fire monitor. to bring Chickaletta down to safety with a perfect pooch landing. A few month back we where lucky enough to get send the brand new Octonauts Gup I to test and with his sister already giving it the sign of approval i am more then certain that Finn will be over the moon with the new Octonauts Vehicle. You can read more about it in our review but it has very much a transformer feel to it which will delight any young boy! Buying some Christmas PJ’s has been a tradition in our family ever since Finn was born (along with dressing them up in cute Christmas Fancy dress when there where younger and Christmas Jumpers now that there both older) so i was delighted when i found those Minions Christmas pyjamas in Matalan the other day. Some Families have a Christmas eve box filled with sweets, Christmas PJ’s and a Christmas DVD or book but i decided this year that St. Nikolaus (who is filling up the children’s wellie boots on the morning of the 7th December) will bring the kids there Christmas PJ’s this year so they get alot of wear out of them! Rubble is on the double! Rubble’s Crane Vehicle saves the day with its movable scoop and crane! Go high up with the crane and scoop pp the pieces of scrap as Rubble rides inside. With real working treads, Rubbles Diggin’ Crane Vehicle gets him where he needs to go! Watch out on the blog over the next few days for the Christmas Gift Guide for Girls as well as some Christmas Stocking Filler Post for Boys and Girls and Her coming up very soon! Have you started your Christmas Shopping yet or are you already finished by now?